If you’re the proud owner of an Apple Watch Series 1, 2 or 3, then you may be eligible to participate in Apple and Stanford University’s Apple Heart Study. In a break from its historically passive recruiting style, the Cupertino tech-giant is now actively recruiting new Apple Heart Study participants who meet certain criteria. What Is the Apple Heart Study? Back in November 2017, Apple announced a bold new partnership with doctors and researchers with the renowned Stanford University School of Medicine, in which the company employed its proprietary ResearchKit and compatible hardware to collect, assess and notify users with “irregular heart rhythms” which may or may not be indicative of a common, underlying heart condition known as Atrial Fibrillation (A-Fib). While enrollment in the study’s first phase appeared to be on a more selective basis, Apple has reportedly begun sending out emails to Apple Watch Series 1, 2, and 3 owners inviting them to download and configure the app to participate in the next phase of the study. Unfortunately, original Apple Watch (“Series 0”) owners are ineligible to participate in the study given that model’s incompatibility with the latest beat-to-beat heart rate variability monitoring advancements. But owners of the Series 1, 2 or 3 who receive the email invitation are eligible to participate by downloading the Apple Heart Study app from the iOS app store and signing up therein. Registering via the aforementioned means will also download the Apple Heart Study companion app on your Apple Watch. 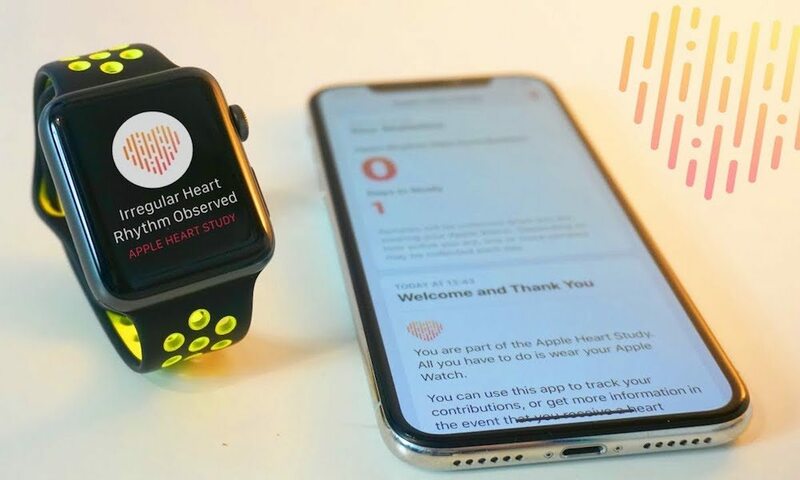 Upon your successful registration and acceptance into the study, Apple’s app will continuously monitor and record your heart rate (and any abnormal rhythms) using the Apple Watch’s incredibly accurate in-built heart rate sensor. If in the event an irregular rhythm is detected, Apple’s app will issue a notification alerting you to arrange a time for meeting with licensed medical professionals via FaceTime video chat. In some instances, these medical professionals may further arrange to send you an electrocardiogram (ECG) patch at no additional charge in order to confirm a legitimate case of A-Fib, if present. The Apple Heart Study is currently limited to U.S. residents aged 22 and over who own a compatible Apple Watch model running watchOS 4.0 or later and an iPhone 6s or newer. The Apple Watch is not only among the most effective tools when it comes to measuring heart rate accurately, but even when it comes to notifying users of other underlying, potentially life-threatening conditions.